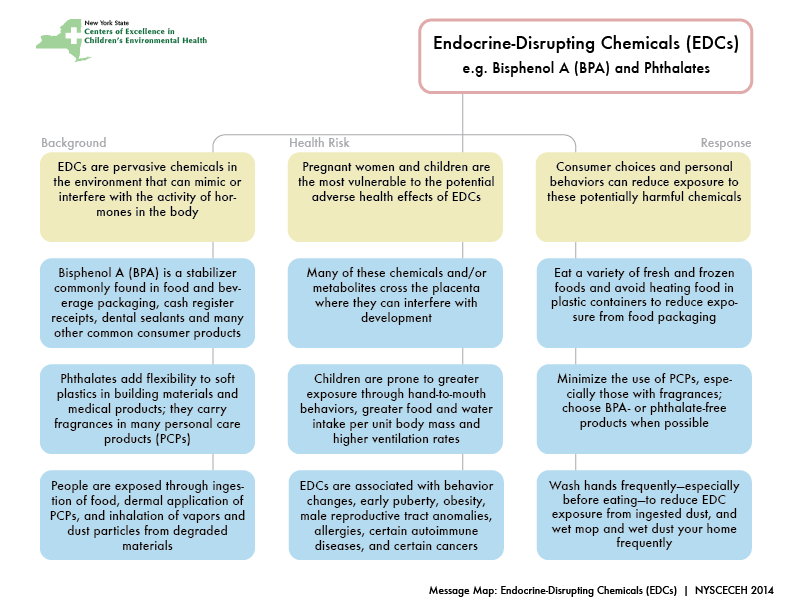 Endocrine disrupting chemicals (EDCs) are man-made substances that interfere with the production or function of hormones. Two examples of EDCs with known adverse health effects are Bisphenol A and phthalates. Exposure to these chemicals is widespread, but simple steps can reduce risk of harm. For acute exposures or ingestions, call Poison Control 1 (800) 222-1222. Website.